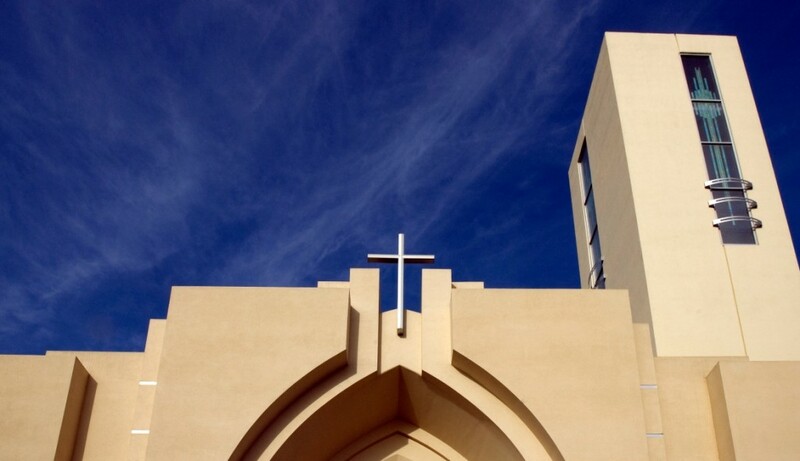 LOMA LINDA, Calif. --- Loma Linda city public health authorities have announced the likely shutdown of Loma Linda University Church after discovering that the baptismal tank water had not been changed in recent history. City Public Health spokesperson Tirede LaCadena said authorities were alerted to the "dangerous state" of the baptismal pool by a number of recently-baptized members of the church who had expressed fear of "more than just the metaphorical death to sin." LLUC responded to claims by releasing a statement that said the church had merely been trying to be sensitive to ongoing water shortages in California and that "there is no clear theological reason to change the water after every single baptism, provided there is no major debris floating in the pool and water temperatures are raised to appropriate temperatures on baptism Sabbaths." LaCadena said that regardless of the "theological murkiness" surrounding the issue, there remained "real public health concerns about humans being dunked in a Petri dish pool of occasionally used water left festering for extended periods of time." He added the shutdown of the church would be final unless LLUC took immediate action to address what "could easily turn into a watery grave." Hey, Hillary, I bet you will see her too. Most of the liberal democrats will see her again! I’m gonna repeat this like a robot: Let’s dispel with the myth that B’rock O’Bomber doesn’t know what he’s doing. He knows exactly what he’s doing! He’s trying to destroy every baptistery in this country! As the “low energy” guy who admitted that he was a kush smoker / pothead 40 years ago, poor Jeb Kush / Jebra Bush just couldn’t win for losing. But he was doing fine before Tramp joined the race. He probably hopes Mr. Tramp will end up in the same place as the deceased atheist lady. Yeah, that’s approximately what the water smelled like. . . . When I was governor of Florida, we created 10,000 new jobs by having homeless guys go around inspecting baptisties. It was hard to tell what smelled worse. We created another 5,000 jobs by placing computers in police departments and counting each computer as half a person. The good part about it was that these “half persons” did not have “half a brain” and did not have to drive to work. AC News: Washington, D.C. — In a move that shocked even his wife (not to mention his political enemies), President Barack Obama has taken the unprecedented step of appointing himself to the U.S. Supreme Court to replace the recently-deceased Justice Antonin Scalia. The President admitted in a special radio address that he has always secretly coveted a seat on the bench, especially the bench of the highest court of the land. “What better way to fill the current vacancy, than by appointing myself?” he said. As a lawyer and former constitutional law professor, O’bama is eminently qualified for the position. In order to complete his term as President (and mostly to prevent the gaffe-prone Joe Biden from assuming the presidency), Mr. Obama has decided to make his self-appointment effective on January 20, 2017 — the day when Burny Sanders Mark O. Ruby-o is inaugurated as President. Who the heck is “Burny Sanders Mark O. Ruby-o”? The British often have four names, but this guy has five! Who ever he is, I’m gonna vote for him while I’m getting ready to deploy to Iraq and battle ISIS. Has anyone ever checked into the condition of the Jordan River during the baptism of Jesus? Here is my solution to the LL baptismal tank dilemma: Empty out the present contents as much as possible. Refill it up again with the NAPA Valley grape juice for the next baptism. Have the pastor or Elder pray that the wine will become water or was it the other way around? Just be glad you ain’t in Flint. Michigan. Don’t be a Namaan!! As Yogie Berra once said, “If I had to do it all over again, I would do it all over again.” Woe iz me!! If you fill it wine Napa Valley Grape Juice that has already been fermented and turned to wine the alcohol will prevent the growth of harmful and dangerous microorganisms in the baptismal wine, so it can be used over and over again forever and ever, thereby saving water. That’s the kind of baptismal pool I was dunked in. While I was under, I guzzled as much of the wine as I could. (That’s why they call it the “dunk & drunk”). I got so tipsy that I started getting weird ideas. And that has never changed; I still have weird ideas! Too bad I can’t use that as my excuse. I just have weird ideas, period. Just a helpful hint to all of you who reply-don’t quit your day job! Me? What , me worry? I appoint myself as “keeper of the flaming baptistries of the NAD”. Woe iz all of you!! I won’t quit my day job, but I certainly quit the presidential campaign. Enough was enough. Well, Ben Carsinogen and I are not quitters. We’re going to bite the bullet and hang on to our campaigns like the guy who fell over the cliff and grasped at straws on his way down into the bottomless pit. Stop mangling my name. It is “KaySick,” as in “Kay is sick.” It has nothing to do with being a snitch.